Dear Carolina was praised as “Southern fiction at its best.” * Now author Kristy Woodson Harvey presents a new novel about what it really means to tell the truth . . .
After sixty years of marriage and five daughters, Lynn “Lovey” White knows that all of us, from time to time, need to use our little white lies. Her granddaughter, Annabelle, on the other hand, is as truthful as they come. She always does the right thing—that is, until she dumps her hedge fund manager fiancé and marries a musician she has known for three days. After all, her grandparents, who fell in love at first sight, have shared a lifetime of happiness, even through her grandfather’s declining health. But when Annabelle’s world starts to collapse around her, she discovers that nothing about her picture-perfect family is as it seems. And Lovey has to decide whether one more lie will make or break the ones she loves . . .
Hi Kristy! Can you tell us a little about your latest book? 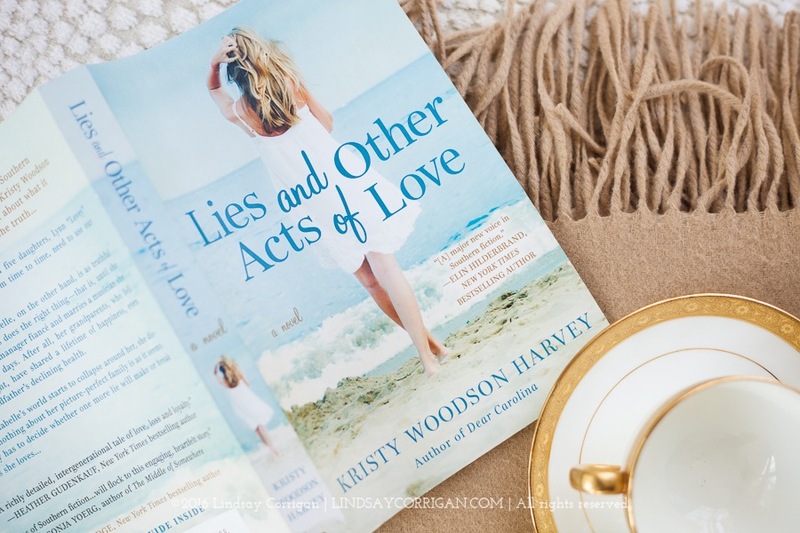 Lies and Other Acts of Love is all about family secrets and the things we do to protect the people we love from the things that might hurt them. I wanted to write a bit of a different kind of love story about what it really means to love your family and what dedication to your spouse is really all about. The book is a juxtaposition between love and marriage today and love and marriage in the previous generations and what that means. Well, I adore this cover, but I can’t take one bit of credit for it! The fabulous cover designers at Berkley sent me three choices, and this was my favorite the instant I saw it! Is it part of a series or is it a stand-alone novel? Where is the novel set and why did you choose to set it there? It is set in present-day Salisbury, Atlantic Beach and Raleigh, NC, Bath, NC in the 40s and 50s and has jaunts to 50s New York, Cuba and present day Martha’s Vineyard. I love setting novels in North Carolina, but Lovey and D-daddy’s love story took us some other fun places as well! I love books that are happy and fun to read but that also make you think a little bit. Those are the kinds of books I love to read, so that’s what I wanted to write as well. I went to journalism school and have a Master’s in English and have been writing as long as I can remember. I was working as a freelance journalist, but I was looking for a steadier way to write every day. I really just wanted to see if I could write a novel, I think. And after I did I realized I had found something I was completely passionate about. Hmmm… I’m not sure! Mostly that happens once I can really picture the characters in my head, but sometimes I’ll meet someone and fall in love with their name and know I want to name a character that same thing! Do you struggle to come up with book titles? 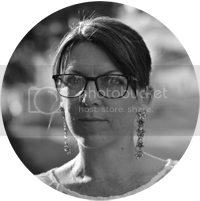 Do they come before, during or after you've written your book? I usually have a working title, but I am horrible at titles. Truly. They always sound very heavy and depressing for some reason. Again, the great team at Berkley is a huge help with that. We generally both compile a list of possible titles we like and then decide together what the best one is. We actually changed the title of Lies and Other Acts of Love quite a few times. When the cover copy was written that was a phrase they used, and my editor, agent and I all emailed each other at the same time saying, “That has to be the title!” It’s wonderful when it hits you like that. A Tree Grows in Brooklyn by Betty Smith. Music, nature, exercise… But I don’t really know, actually! I’m just as likely to get an idea I love when I’m out to dinner with friends as when I’m sitting at my desk with my favorite music and candle going! I think my subconscious is always working on my books, so when I get ideas they seem out of the blue to me, but I’ve been working on them in the background the entire time. I carry around a little notebook and my husband and son have had to become very patient about my constant, “Oh, hang on! I have the best idea for a book!” outbursts. My husband bought me the most gorgeous marble and gold desk for my 30th birthday, but I actually stand up to write, so I have a little lucite riser on top of it and this cool balance board thing I stand on. It keeps me from getting sleepy while I’m writing. The Notebook. Is that so cliche? I know there are thousands of incredible ones, but I just re-watched this so maybe that’s why it’s on my mind. I love that movie every single time. Mary Alice Monroe and Patti Callahan Henry. I was the youngest person in the state of North Carolina to ever have a work permit. I was six years old and my dad taught me to sign my name in cursive so I could get one. Blake Lively. I think she’s just amazing, and we’re about the same age. There are more cows, pigs and chickens than people! My third novel is with my editor right now, and I have just finished the first draft of my fourth. Basically, my major goal at this point is simply to keep writing and keep getting my books published. 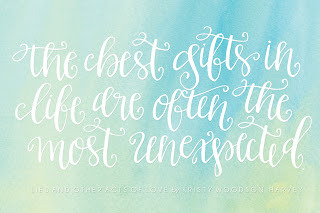 This can be a fickle business, and I feel so incredibly lucky to be where I am right now. Seeing the pyramids in Egypt. I’ve always loved Puss in Boots. It was my favorite as a child. Who/What did you want to be when you were a kid? It was different every day, but the two constants were that I wanted to be a teacher and a mother. I realize now that they are actually the same thing! 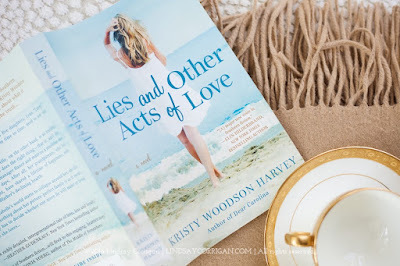 Order Lies and Other Acts of Love and send a picture of the receipt to kristy@kristywoodsonharvey.com between now and April 10 to be entered to win a $1,000 Shop Design Chic gift card. 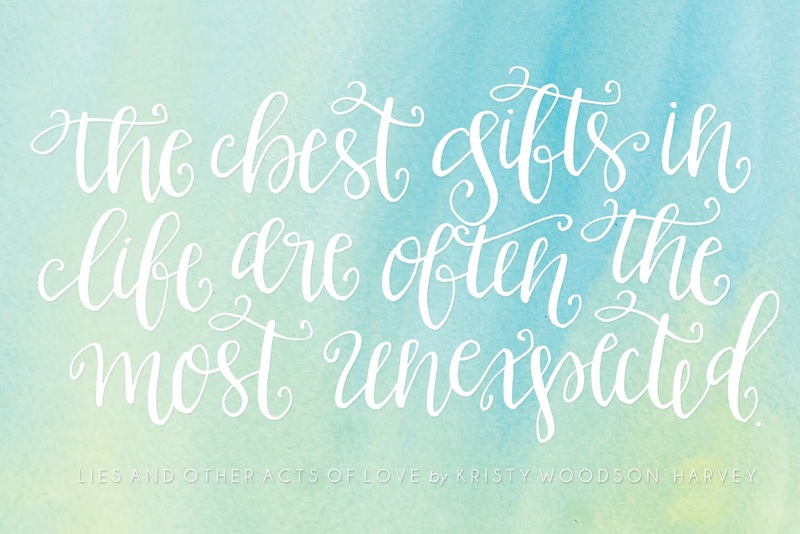 Everyone will receive copies of four gorgeous printable quotes from the book! Order or pre-order from an independent bookstore or Indiebound for two contest entries!